New light has begun to be cast on one of the most maddening aspects of global container supply chains – the so-called ‘black hole’ of container terminals – after DP World this week launched a new container tracking solution at its facilities. 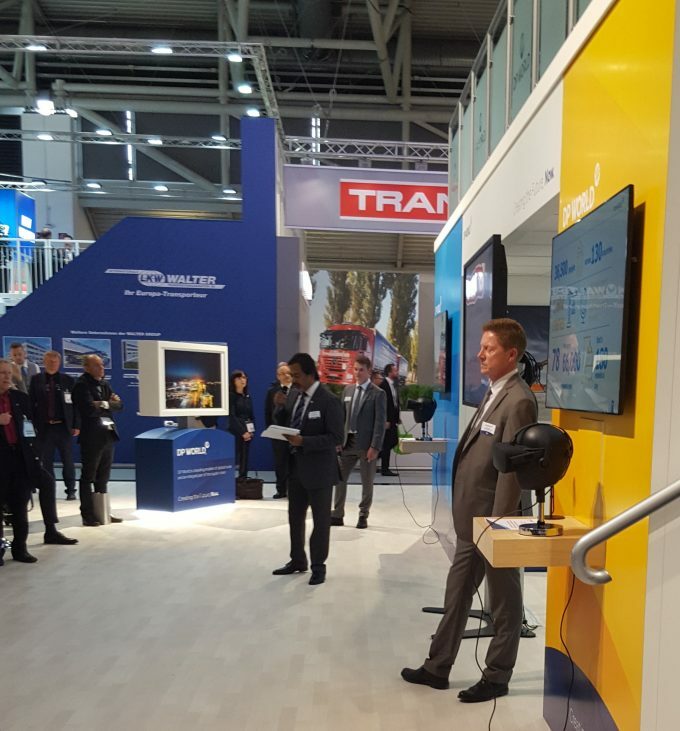 The Where’s my container app will allow shippers and their freight forwarders to find the status of any container in the operator’s ports simply by inputting the container number, senior executives announced at this week’s Transport Logistic show in Munich. Currently, use of the system is limited to customers of DP World’s Southampton and London Gateway facilities, but it is to roll out across Europe, and then further afield. Xavier Woodward, the group’s European government affairs manager, told The Loadstar the 18-month project had been beta-tested by a group of companies that included supply chain operator and container haulier Wincanton and retail group Peacocks. After entering the container number, the free app allows carrier customers, as well as hauliers, to see where the box is, according to one of five stages, as it makes its way from vessel to out-gate. The stages are: vessel at sea; on vessel at berth; on hold (often for customs inspections); available for collection; and departed by road. Mr Woodward said the decision to make the service free of charge was due to wanting create more added-value to supply chains. “We’ve had this data for the past 20 years – every port has, in fact – it was just a case of finding the best way to make it available. Giving this information to shippers and forwarders means they are able to plan so much better. “If they know a container has been held up for inspection, the VBS slot can be rebooked, for example. And putting the service online means all those frustrating phone calls to port customer service departments can become a thing of the past,” he said. There is still a degree of standardisation needed before Where’s my container? can work across DP World’s global network, however. The app is linked to each terminal’s operating system, and many of them differ across the group. However, ultimately, DP World executives want customers to be able to track a container from its port of loading to port of destination. The company has already begun exploratory discussions with a number of Silicon Valley tech firms to see how the app can further link with forwarder visibility platforms and deploy predictive analysis.